Have You Considered Nasotracheal Intubation? Just wondering how many providers out there have used nasal intubation or are even actually allowed to perform this skill in their region. 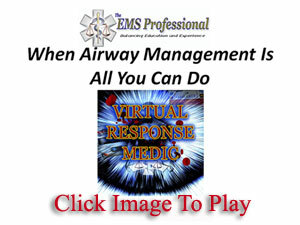 When would you consider using this airway management option? Check out the Airway Cam website for how to’s on this skill as well as some great books and other training materials. Click here.